What started with two guys investing 400 euro each in a grill and a marquee has turned into one of Galway’s most successful restaurants, writes Barbara Collins. 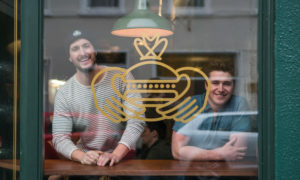 There are often queues out the door for Handsome Burger on Dominick Street in the city’s West End, and now the business has expanded to Dublin. This is the fourth week it has been trading from Eatyard in the capital city and there are plans to open in other places. 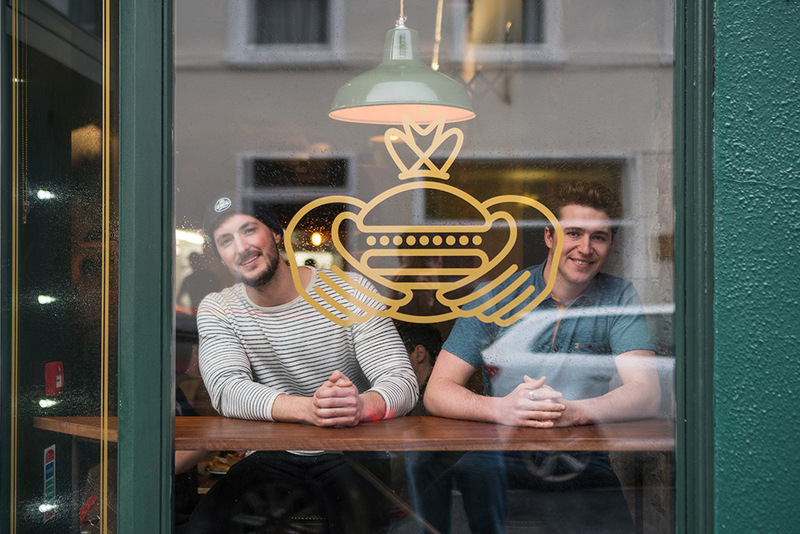 Since Handsome began trading at Eatyard this March, they have people in the kitchen in Galway from 2am hand rolling burgers and hand cutting chips before being driven up to Dublin in a refrigerated van. “Quality and the produce always being as it should is what the Handsome Burger brand is built on. 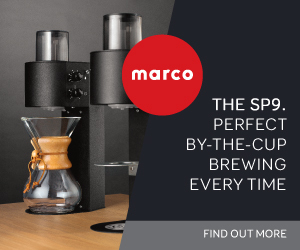 We have seen other places start off well and then the quality goes downhill and that is emphatically what we don’t want to happen with Handsome Burger,” says Cathal. Over a locally-produced All About Kombucha drink, Cathal told me how he has a degree in Sport and Exercise Science and would have done further studies in nutrition. He went to the local school The Bish with his business partner Rory McCormack. The logo is a clever take on the classic Galway Claddagh ring. Instead of two hands clasping a heart they are holding a burger. All the staff wears Claddagh rings too. The décor is industrial with booths, tables and high stools. The menu is short, just five burgers, which include one chicken and one vegetarian. There is also a daily special and sides of slaw, fries and sauces. There is a drinks licence which means wine and beer are served alongside soft drinks. As yet, there is nothing sweet, but there are plans for a milkshake. I had a Petey Pablo - a beef patty made with mince from Brady’s Butchers in Athenry. The addition of chorizo, cheese, guacamole and tomatoes on a brioche bun made it possibly one of the best burgers I have ever eaten. The additional fries were made from Rooster potatoes and finished with a dusting of salt and rosemary - very moreish. The waiter James told me the slaw had chilli, ginger and honey in the vinegar dressing. Decked out in American Apparel, he seemed as knowledgeable and passionate about the business as co-owner Cathal. Future plans include a bigger kitchen in Galway so they are able to open in more cities across Ireland.